After a week off from games, the Houston Rockets are back at it again. We're just one game into the post-all-star-break portion of the season, but in their win against the Minnesota Timberwolves, the Rockets seem to be singing a second verse the same as the first. They've now won 11 in a row and show no signs of slowing down. The biggest takeaway from the game, sadly, was that Jimmy Butler got injured in the third quarter, going down while clutching his knee. It was a non-contact injury, and early indications are not good. We will have more information as the Minnesota organization releases it, but it's possible if not likely that he will miss the remainder of the season. This is another huge blow in a season unhappily replete with injuries for this league. The Rockets, for their part, were close to whole. Trevor Ariza returned to play, but unfortunately Eric Gordon was out with an illness. There's reason to believe the entire team might be ready willing and able to play soon, with the new problem being a surplus of talent and a surfeit of minutes. Even Joe Johnson played and was effective tonight. The rest of the story is one we are well familiar with. While the Wolves may have come out of the gate hot, their early lead evaporated quickly and turned into a permanent deficit, which was double digits for most of the second half. 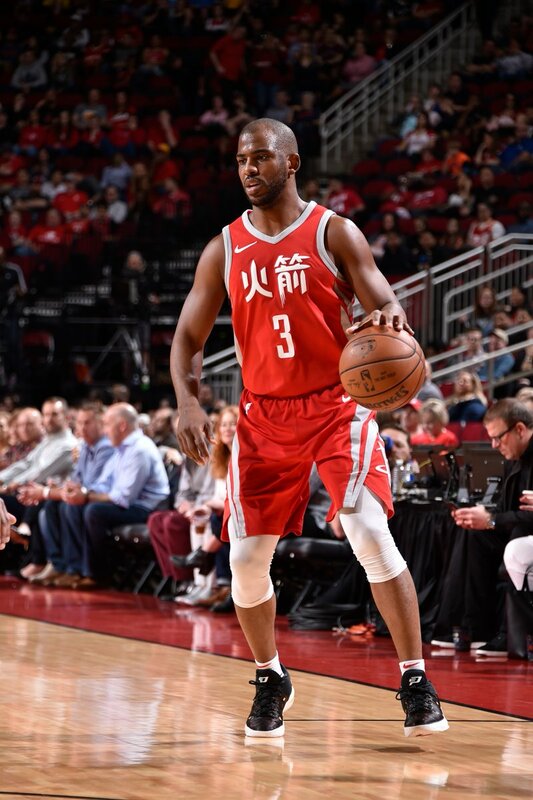 James Harden, Chris Paul and Clint Capela were the architects of Minnesota's demise, as they have designed so many others. Harden had 31 points and 9 assists. Capela was 10-11 from the field for 25 and 11. Chris Paul flirted with a triple double to rack up 14 points, 10 rebounds and 8 assists. The Wolves, even before the injury, were unable to keep up with the continuous onslaught of the Houston Rockets. They were not the first. They will not be the last. This is the regularly scheduled program. I like it. "Regularly scheduled program"